A Journey to Boston: 2 Amazing Bands, 1 Classic Rock Experience! 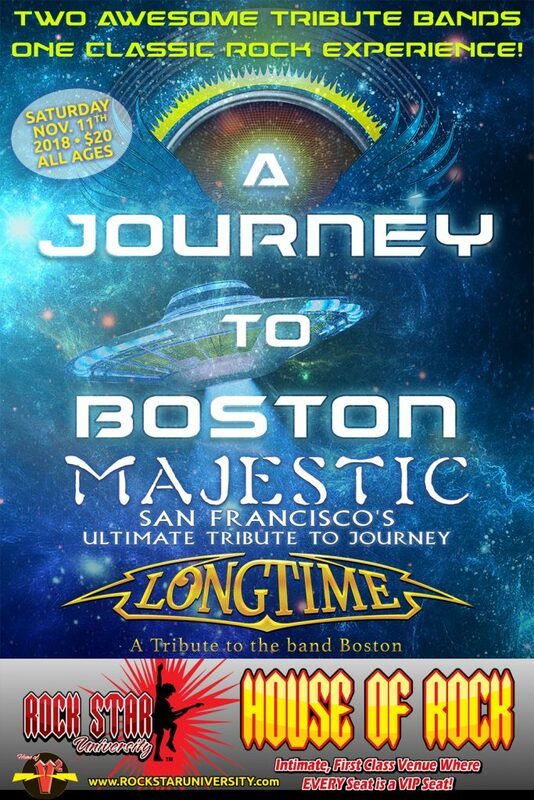 By popular demand, two of California’s premier tribute acts, Long Time and Majestic return to the House of Rock to bring you the best of the music of Boston and Journey in one incredible performance! Don’t miss this opportunity to experience this one-of-a-kind performance at a one-of-a-kind venue: Santa Rosa’s House of Rock”!